This #CrowbackThursday, we look back on Experiment 404 - Teenagers From Outer Space. In this clip, an innocent household pet is vaporized (though apparently alien weaponry doesn't affect bone), causing a very old teenager with the very alien name "Derek" to grow a conscience and mutiny against his kill-crazy shipmates. 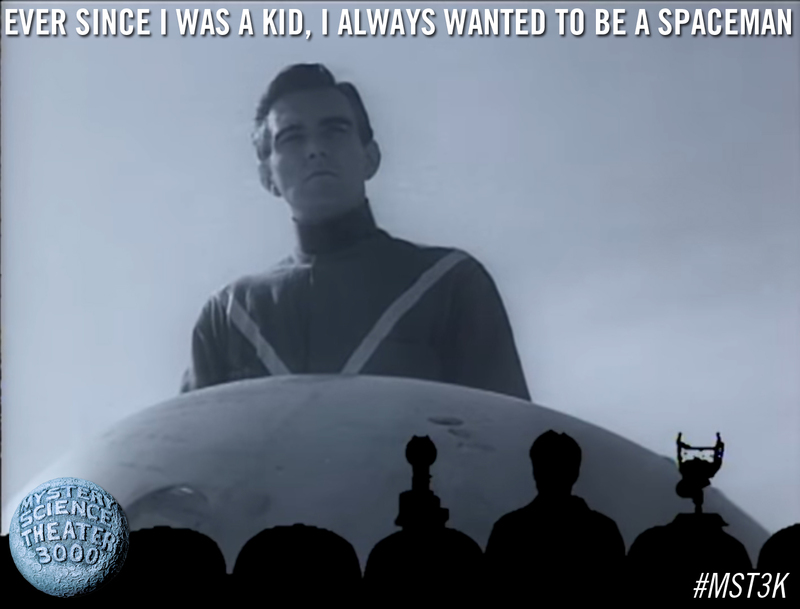 Watch the clip above, share the image below, and get Teenagers From Outer Space on DVD in MST3K Volume VI.